Indian politicians seem to have discovered universal basic income. It's the new trick up their sleeves in order to influence the voter for the upcoming Lok Sabha elections, and create a narrative in their favour. 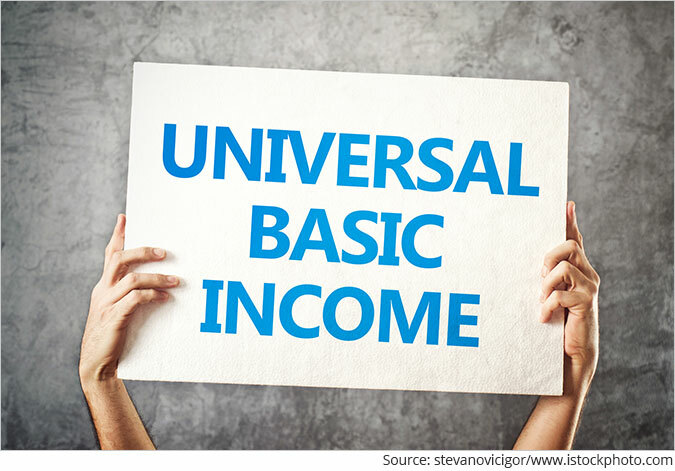 As Guy Standing writes in Basic Income: And How We Can Make It Happen: "A basic income can be defined as a modest amount of money paid unconditionally on a regular basis (for example, monthly). It is often called a universal basic income because it is intended to be paid to all." Of course, a universal basic income for every citizen of this country, is bound to cost a lot of money. But this piece isn't about whether India can afford universal basic income or not. It is also not about whether India needs universal basic income or not. It's about something else. Allow me to explain. In September 2008, Lehman Brothers, the fourth largest investment bank on Wall Street, went bust. In the aftermath of Lehman Brothers going bust, many other financial institutions which were already in trouble, ended up in more trouble. The governments and central banks in United States and Europe had to come to the rescue of these financial institutions. Then we recommend you immediately grab a free seat in our first-ever Rebirth of India Mega Summit now. We believe this is perhaps the greatest investing opportunity of this century. Someone else will take your FREE seat. By the way, Rahul informed me that there are no replays available for this one-time mega summit. At the Mega Summit, we will share EVERYTHING about the Rebirth of India…Plus We will reveal 7 stocks that could potentially generate gigantic gains as the Sensex races to over 100,000. Click Here to Reserve Your Free Seat – In Just 1-Click! There was a great fear that the Western economies might end up in a prolonged period of deflation or an economic scenario where prices are falling. When prices are falling, people tend to postpone their consumption, in order to get a better price in the future. This is basically bad news for the businesses and the overall economy as well. In order to prevent a deflationary scenario, the Western central banks printed and pumped a lot of money into the financial system. The idea was to drive down interest rates. The hope was that at lower interest rates people will borrow and spend more. The businesses would borrow and expand. And all this would basically ensure that the economy would not enter a state of depression and continue to do well. But things didn't exactly play out to plan. As Standing writes: "Through so called 'quantitative easing', the US Federal Reserve, the Bank of Japan, the Bank of England and the European Central Bank, among others, have injected billions of dollars, yen, pounds and euros into financial markets in a largely unsuccessful bid to stimulate growth." Instead of people borrowing and spending as was expected, what happened instead was that the Wall Street fat cats, borrowed money at low interest rates and invested it in financial markets all over the world, and drove up different markets. This easy money coming into India was a major reason for the stock market rallying over the last half a decade. It has also been responsible for not letting real estate prices falling, despite low demand for homes. The US companies borrowed money to buy-back their shares, and in the process drove up their share prices and the overall stock market. Hence, all this benefitted the Wall Street fat cats and the rich in the Western world to a large extent, and not the Main Street (as the American politicians like to refer to their aam aadmi). But what if the entire quantitative easing (or as money printing is referred to by economists) was structured a little differently. The economist Guy Standing puts forward a very interesting counterfactual in his book Basic Income. As he writes: "The allocation of even a modest part of that money to fund a basic income would have been more efficient at boosting growth, less regressive in its impact and clearly affordable." What Standing means here is that instead of printing and pumping the money into the financial system to drive down the interest rates, and then expecting people to borrow and spend, the money should have been directly handed over to the people. As he writes: "The $4.5 trillion quantitative easing by the US Federal Reserve was enough to have given $56,000 to every household in the country. Similarly, had the UK's £ 375 billion of quantitative easing been diverted to pay a basic income, everyone legally resident in Britain could have received £50 per week for two years. Instead, quantitative easing has enriched the financiers, worsened income inequality..."
Of course, this money shouldn't have been handed over to households at one go, but spread over a period of few years. Handing over money all at once, would have created inflation, as too much money would have chased the same amount of goods and services, and sent prices spiralling up. Hence, spreading out the payments was important. As Standing writes: "Additional money flowing into the economy would raise aggregate demand and thereby propel economic growth, as long as there were no serious supply constraints... It would increase the purchasing power of those on low incomes, who have a higher propensity than the affluent to spend any money they receive." Also, once demand picked up, increasing supply would also come in, as businesses would look to cash in on the increased demand. As Standing writes: "Increased demand resulting from additional money is likely to generate an increased supply of goods and services. This in turn could create more jobs, further increasing incomes, spending power and production through the 'multiplier effect."" If all this had happened, the world would have come out trouble sooner rather than it did. And economic growth would have been more stable than it currently is. But all that comes with the benefit of hindsight. Nevertheless, this insight is an interesting one and should be given a serious consideration, the next time the world is in the midst of a similar crisis which threatens a massive recession. We request your view! Post a comment on "The Universal Basic Income That Could Have Changed the World". Thank you for posting your view! 4 Responses to "The Universal Basic Income That Could Have Changed the World"
What happens when the dole,is stopped after some time ( say 2 years). Demand for certain products will reduce and the whole thing will be in trouble ? But, that $4.5 trillion is coming back, and what that author suggests is dole out. Who bare that cost ?. Universal income is good if given for a short time till the person recovers and is given a chance to stand on his feet instead of giving it for a long time. Normally people like something that is free without any tangible outcome like reservation in various field that we have in India. No one wants to come out of that free "period". Had the Person been given a time frame till what time he will get this support without extentions he will work to get on his feet. But with the same habit of politicians world over, they in India will continue giving extentions and then it will be permanent. The incentive to stand on own feet will be gone and so will the progress of man kind. Hence if universal basic income is given in India all parties will have to commit to a definite time period without scope for extentions. If its binding then its a good idea else a downward spiral for all. Hi Vivek, Great article. Is this exactly not happening in India currently? 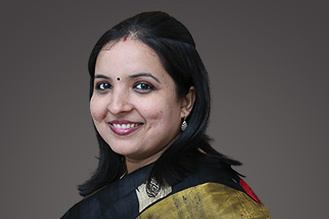 Rather than throwing money at various subsidies, money is directly being handed over to the relevant section of society through the direct transfer scheme. And Aadhar has been a big enabler in this as through biometrics it cannot be duplicated but PAN can be! Then why do you have a bias against Aadhar as seen in your previous articles? I fully agree with your view that the fat cats got the best of quantitative easing in all parts of the globe and hence economics has to acknowledge this QE phenomena as the great wealth transfer of our times. Regards, Saurabh.